The University of Texas at Austin offers a wide variety of opportunities for students to pursue a rigorous, research-oriented undergraduate curriculum. If you’re looking for unique learning opportunities to feed your intellectual curiosity, apply to an honors program. 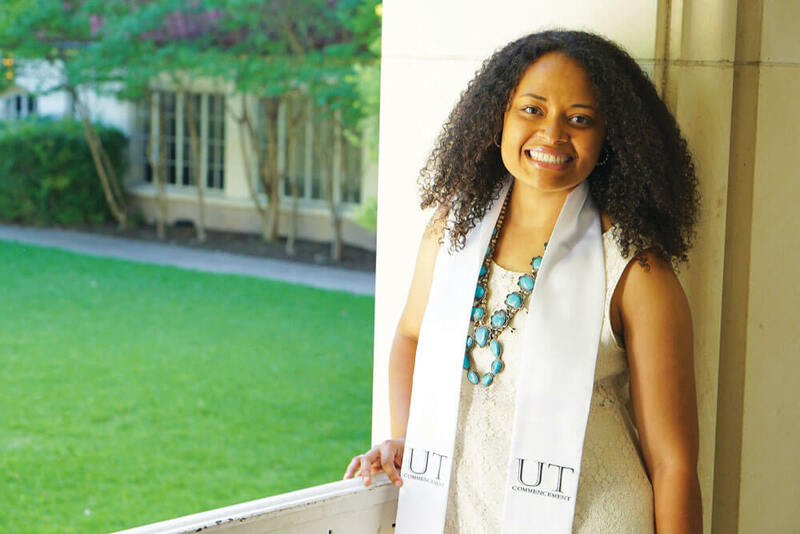 At UT Austin, we have a range of Honors Programs tailored to foster intellectual curiosity and discovery, and provide you with a one-of-a-kind education. Honors classes introduce students to advanced scholarship while the programs offer individualized advising, exposure to a community of thought leaders and the opportunity to interact with professors and professionals driving innovation in the field. We offer honors housing for a dedicated living-learning experience and a close-knit community for students in honors programs. Modeled after case-based MBA programs, the Canfield Business Honors Program’s small classes focus on discussion and presentation, group collaboration and analytic exercises—all in the interest of challenging business students to think outside the box. This honors program is also available for transfer students. Engineering Honors Program participants benefit from access to honors housing, merit scholarships and community-building activities, such as an annual welcome event and an honors First-Year Interest Group (FIG). Ideal for students who want the depth of a particular Liberal Arts discipline alongside the flexibility to incorporate specialized classes focused on reasoning, research and writing, the Liberal Arts Honors Program focuses on broadening students’ worldview and preparing them to lead. Students in the Moody College Honors Program experience a diverse intellectual community that cultivates critical thinking, dialogue and transformative leaders in all areas of communication. The program offers an interdisciplinary 15-credit curriculum, special events and service activities, and eligibility for honors housing and scholarships to complement any communication major. The College of Natural Sciences’ honors programs offer a range of opportunities for laboratory and field research placements, interdisciplinary study and personalized academic support. Recognized as one of the most respected and selective honors programs in the country, Plan II offers a rigorous interdisciplinary curriculum in the arts and sciences and the flexibility to incorporate other majors and degrees. At its heart is the study of literature, philosophy, society and natural sciences—the things that make us human, from poetry to the latest discoveries in physics or cosmology. An integrated honors degree program between the Canfield Business Honors Program and the Department of Computer Science. Texas CSB provides a rigorous four-year undergraduate curriculum aimed at preparing students for top technology careers. Combined, the two programs offer distinct benefits for students with strong quantitative and technical skills looking toward careers in today's tech-focused business world. This program provides a home for a wide range of students—from aspiring entrepreneurs to students interested in data analytics, marketing analytics, financial engineering, and leadership roles in tech companies. "Liberal Arts Honors introduced me to a community of friends who were dedicated to pursuing knowledge. I was able to learn from world-class professors in classes that challenged, motivated and inspired me, and the program encouraged me to become involved in the world around me through research, internships and leadership. Liberal Arts Honors set the groundwork as I’ve continued my education in graduate school and will continue to help me throughout my life."